b. Provide at least two emergency Contacts with phone numbers. The Emergency Contact should be a neighbor or nearby relative who will assume temporary care of your child if you cannot be reached. The Emergency Contact SHOULD NOT be your child's doctor. All new students entering the Parsippany – Troy Hills School District are required to have a physical examination. Click on the Grades K – 4 Physical Examination Form heading to download the appropriate physical form for the physician to complete. Make a copy of the form to keep for your own records before sending the original completed form to the school nurse. In addition, although not required, we urge you to obtain subsequent medical examinations at least one time during each developmental stage at early childhood (preschool through grade three), preadolescence (grades four through six) and adolescence (grades seven through twelve). Click on the Fifth Grade Physical Examination Form heading to download the appropriate physical form for the physician to complete. Make a copy of the form to keep for your own records before sending the original completed form to the School Nurse. 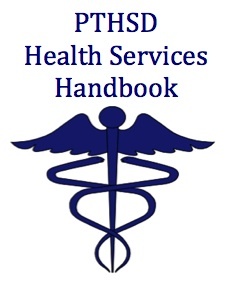 If it is necessary for your child to take medication in school,please be aware that the BOARD of EDUCATION has a strict policy in place that includes both prescription and over-the-counter/non-prescription medications. For administration of all medicine in school, your doctor must complete the school medication form available below. Please contact me with any questions.